Earn 319 points to spend on future purchases. The SoClean 2 cleans and sanitizes your CPAP equipment automatically every day so you'll go to sleep each night knowing your sleep therapy routine is germ, virus and bacteria free! 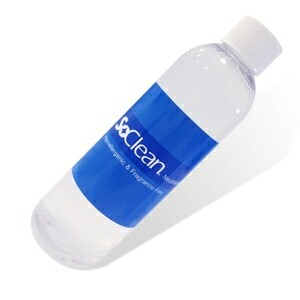 SoClean 2 uses Activated Oxygen -- a powerful, natural sanitizing agent -- to thoroughly clean and disinfect without water or harsh, smelly chemicals. INCLUDES A FREE AIRSENSE ADAPTER! At DirectHomeMedical we include a free adapter with every SoClean so you'll be sure to have everything you need right out of the box. 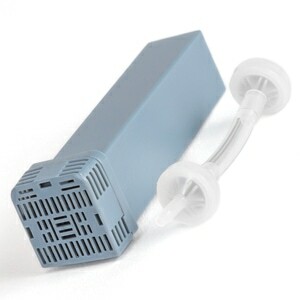 This SoClean 2 package comes with a free ResMed AirSense CPAP & AirCurve BiLevel Tubing Adapter. 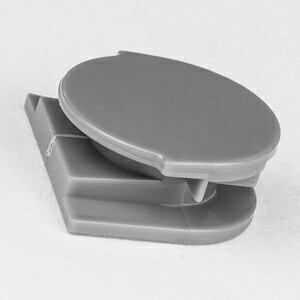 If you required a free adapter for a different machine click here. Activated Oxygen has been used in hospitals, food production and water purification for many years. It is created when a third atom of oxygen combines with the two-atom oxygen molecule that makes up the air we breathe. 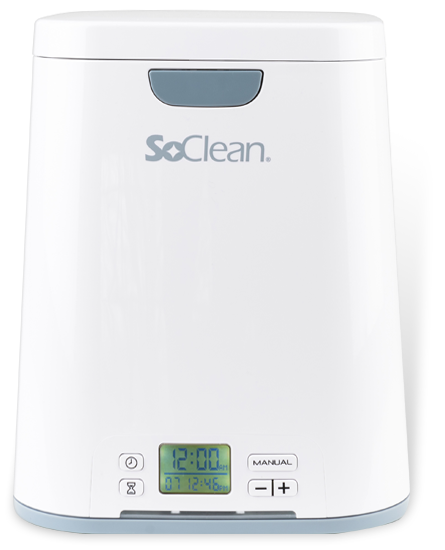 The SoClean 2 generates Activated Oxygen from room air and pumps it through your CPAP equipment to destroy molds, bacteria and viruses. A special filter then converts the activated oxygen back into the air we breathe. SoClean 2 has been independently lab tested and proven to destroy 99.9% of germs, bacteria, viruses and mold using 100% natural and safe Activated Oxygen. No chemicals are used! 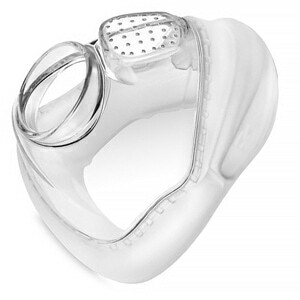 SoClean 2 is compatible with virtually all CPAP masks, headgear, tubing, and machines. For machines that use standard or premium tubing you simply attach the included Standard Tubing Adapter to the back of your sleep therapy device and SoClean 2 is ready to go. For machines with a heated humidifier a special tubing insert is included so the chamber can be automatically cleaned at the same time as your mask and tubing! SoClean adapters are even available for machines that use heated tubing or have specialized tubing outlets -- like ClimateLine, ThermoSmart and SystemOne Heated Tubing -- just select the adapter for your machine when adding the SoClean 2 to your shopping cart. After a simple initial setup, SoClean 2 will automatically sanitize your equipment each day so it's clean and ready for you to put on when you go to bed each night. And if you ever want to sanitize your equipment manually -- after a nap or just for extra protection -- it's as easy as the press of a button! SoClean 2 is simple to use and intelligently designed so you'll be sure your equipment is properly sanitized and disinfected whenever you use it. The SoClean 2 cleans masks, headgear, tubing and humidifier chambers quickly and conveniently while they're still attached to your CPAP! When you wake up from a restful night's sleep, just place your mask, with headgear, in the SoClean 2's cleaning chamber with your hose still attached. Channel the hose through hose slot on the side of the SoClean 2 and close the lid. SoClean 2 will turn on automatically when it's time to clean your equipment. Cleaning with SoClean 2 only takes a few minutes, but you should leave the lid on the unit securely closed for at least 2 hours after the initial cleaning cycle for proper sanitization. SoClean 2's cycle indicator lights will let you know when it is working and when the cleaning process is complete; and onscreen indicators will let you know the status of your SoClean unit at all times. SoClean will never operate without a mask and hose present, so if you forget to insert your mask one morning don't worry, just put it in when you get home for the night and press the manual cleaning button and let SoClean 2 get to work! Could the SoClean 2 Have Turned the Cushion on My Mask Yellow? In rare instances the SoClean 2 may cause yellowing in mask cushions or plastics. This change is cosmetic and will not affect the performance of the mask. Can I Use the SoClean 2 if My CPAP is Connected to Oxygen? Is the SoClean 2 Harmful or Could it Hurt the Environment? While some might mistakenly refer to ozone as smog, the two are distinctly different. Unlike pure ozone, smog contains a mixture of various toxic hydrocarbons that have no beneficial characteristics. The SoClean 2 uses natural, activated oxygen, in a closed system to sanitize CPAP equipment. Only pure oxygen is released back into the environment by the SoClean 2 device. Can I Use a CPAP Pro "No Mask" with the SoClean 2? 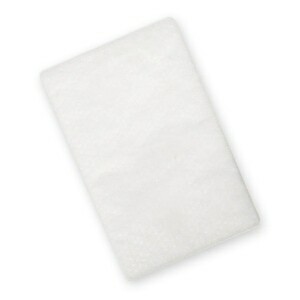 The SoClean 2 is not recommended for use with CPAP PRO "No Mask" as the nylon and foam materials used in that mask can degrade quickly when sanitized. Sometimes There is an Odor in my Mask After I Use the SoClean 2? A strong scent can occur if your equipment has not been treated with the Neutralizing Pre-Wash the first time you use the SoClean 2. It can also be a sign that the duration of your treatment is too long. Try lowering the duration of your treatment. If you still feel that the scent is too much, you can opt to run the treatment every other day. In the Package SoClean 2 Device, Filter Cartridge, Check Valve Assembly, AC Power Supply with Cord, Pre-Wash, Free CPAP Adapter, User Manual, 2-Year Manufacturer's Standard Warranty.